What a fun cupcake project! I had a gumball machine when I was a kid. Now, I barely chew gum. 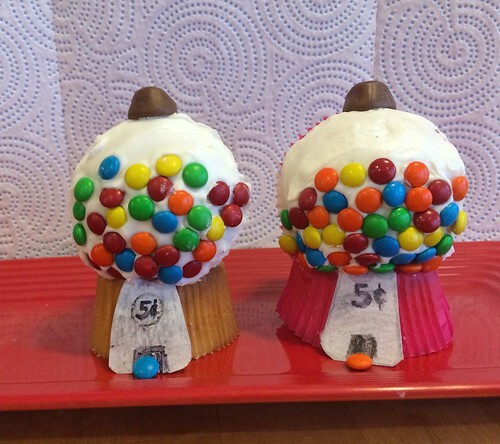 These gumball machine cupcakes are great. Oh my god these are adorable. That is such a cute and different idea nd could be great for a school-age kid's birthday!